I had the honor of illustrating and designing the digital stickers for ROGUE ONE. It was an absolute pleasure working with the good people at Disney, Google and Hook studios. For information on how to download, click here. 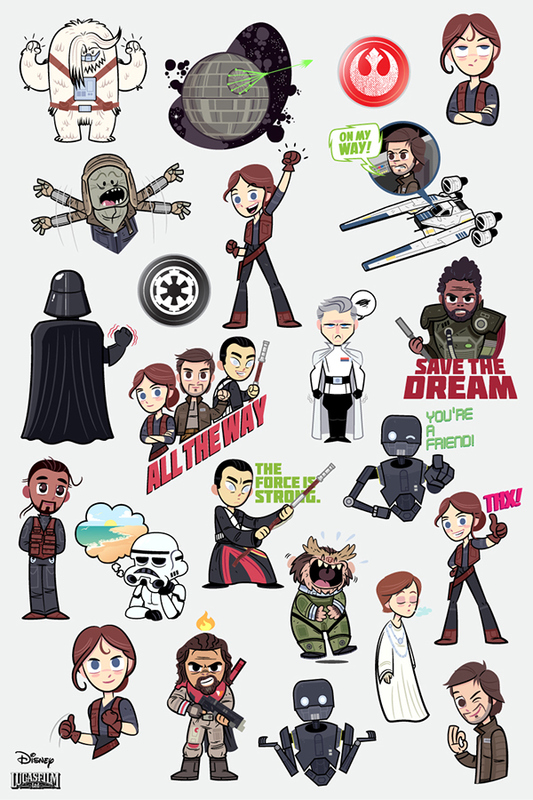 Official Rogue One digital stickers for Disney Studios. Distributed by Google Allo.